Since graduating in July 2017, I completed a number of short contracts in Australia relating to heritage and conservation, before returning to the UK and starting in my current role as Assistant Artefact Conservation with National Museums Scotland in January 2018. I am currently working as a project conservator for the redevelopment of two major galleries at the National Museum of Scotland in Edinburgh. The new Egyptian and East Asian Galleries will open in February 2019, following the conservation of hundreds of objects, ranging from ancient Egyptian coffins to Asian ceramics. I am particularly proud of my recent work on a Korean lacquer box at the National Museum of Scotland, where I was able to use skills I learnt while working on ceramic objects at West Dean College to develop new techniques for replicating missing pieces of shell and metal inlay from conservation grade materials. Do you have any tips for recent graduates wanting to establish themselves in conservation? Focus on developing a diverse portfolio, highlighting transferrable practical skills and demonstrate flexibility in your approach to the conservation industry. Remember that every job application written makes the next one even better! 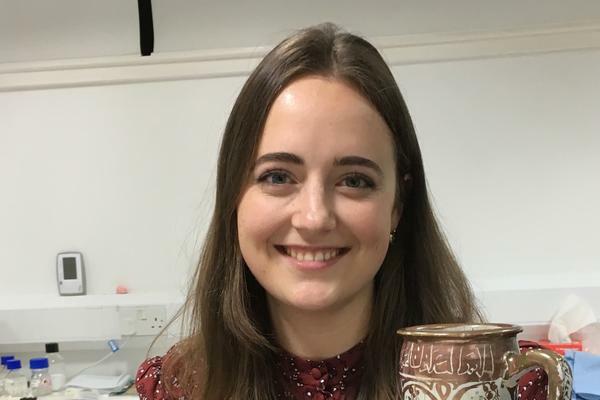 Studying at West Dean allowed me to develop highly specialised practical conservation skills that I am now lucky enough to apply to incredible objects on a daily basis. The college trip to the Netherlands was fantastic! We visited museums and conservation studios and our trip to the Delft porcelain factory was a highlight.